I read Why do some options trade in 5 cent increments? but despite that I see some options I cannot trade in pennies ( not broker specific), but I routinely see same option being traded by others in penies Please see attached images. 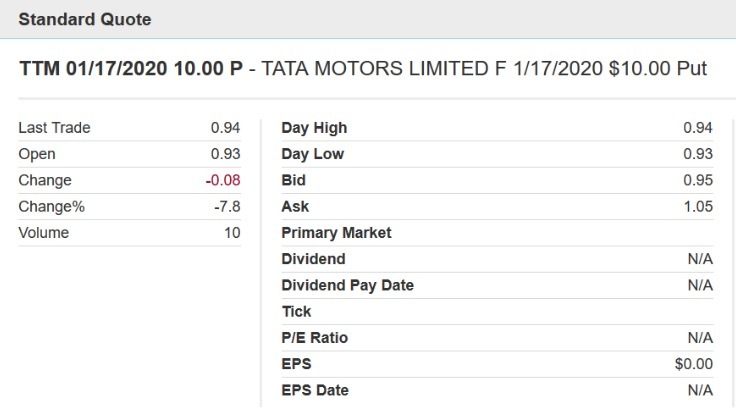 Where a option is last traded at 94 cents, but when I tried to put the same order, two brokerages are not allowed. The customer service at those brokerage could not answer, so I hope I can get better answer here. Rules on quote width are complicated and there are a number of exceptions. Each exchange has its own rules. A market maker is not rigidly limited to five to 10 cent increments. The legs of a combo order such as a spread can be filled at any price even though the legs are quoted in 5 cent increments. Suppose I place an order to buy 5 verticals for 75 cents. I could get all 5 spreads whose legs are at the same price (-1.60 + 0.85). Or all 5 could be filled at (-1.63 + 0.88). Or some or all could be filled at different prices with some crazy fills like (2.88 - $2.03). 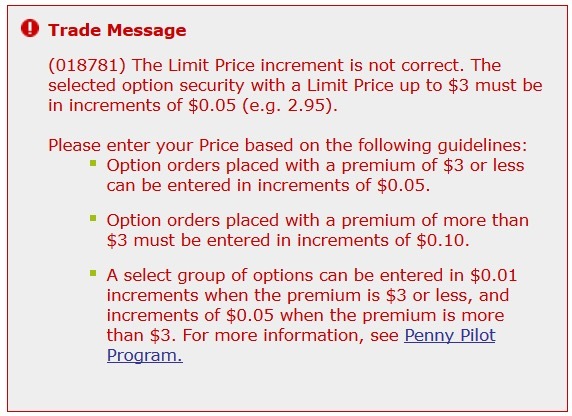 So even though the quotes were at 5 cents increments, fills could be at one cent increments. Not the answer you're looking for? Browse other questions tagged united-states stocks trading options or ask your own question. Fill price above my ask - how is that possible?